Learning for me has always been one of the most important aspects of my life. When I opened my bakery, the learning curve was very steep and I almost fell off several times. But love of what I was doing and an intense desire to succeed, kept me motivated. I found it very different coming from a home setting into a professional setting. 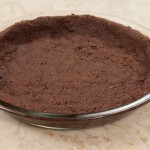 Learning how to make more than one or two desserts at a time was a necessity, even though we made, what many professional bakers would consider small batches. As important as it was to learn myself, it was necessary to teach others as the bakery grew. This book is one of a series that will pass on much of what I learned, some of it definitely “outside the box”, because I was never formally trained in pastry or baking. As a child, food was all around me. 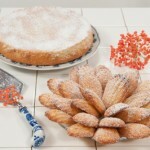 My mother was from Europe and made some of the best desserts I have ever eaten. Long before Americans knew what croissants were, my mother made them for every special occasion. 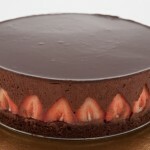 And not the quick and easy method I developed for my first book, “The New Pastry Cook”. My career started with newspaper articles, escalated to writing for national magazines including “Bon Appetit”, “Chocolatier” and “The Pleasures of Cooking”. As a consultant to Cuisnarts food processors in their formative years, I had the opportunity to work with professionals. My first book, “The New Pastry Cook” was published in 1986 and featured updated methods of working with pastry. My bakery, Truffes, Inc. in St. Louis, Missouri sold upscale pastries to hotels, restaurants and caterers as well as wedding cakes. The bakery closed after 23 years in 2009. Presently, the pastry chef at Tony’s restaurant, the only 4 star four diamond restaurant in St. Louis gives me the opportunity to keep my hand in what I love. Also a regular contributor to the “Great Day St. Louis” TV program on KMOV- TV, I get the chance to show off my cooking skills also. I started blogging in 2010 and www.theardentcook.com is a learning blog where how-to photos reign as the best way to help viewers. 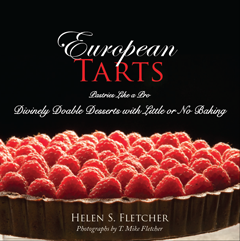 I am excited to share my world of pastry with others in this book and those to follow.